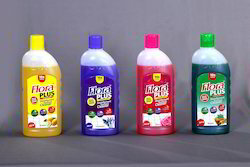 Leading Manufacturer of dis-infectant floor cleaner from Coimbatore. Contains no petroleum distilaates to dull floors are leave a slick film. Use on all finished floors including wood, stone and synthetic surfaces. Looking for Floor Cleaning Liquid ?